Dr. Sabeel got a commendation certificate from Hamid Nawaz Raja, Nazim Potohar Town, in 2009. The copy of this commendation certificate is attached below. 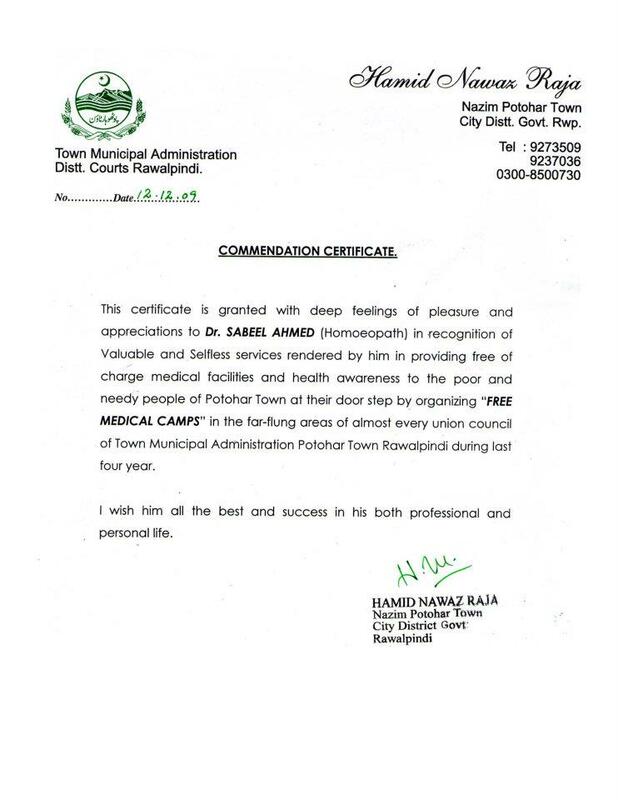 The certificate was given because of Dr. Sabeel’s efforts for arranging free homeopathic medical camp in Potohar town.